May 5, 2015 – NASA has selected Broomfield-based Altius Space Machines for a Phase I SBIR contract. The proposed concept, “Low-Inertia STEM Arm (LISA) Manipulators for Assistive Free-Flyers,” will study the use of miniature STEM Arms for use on the SPHERES testbeds and for future Assistive Free-Flyers on the International Space Station. 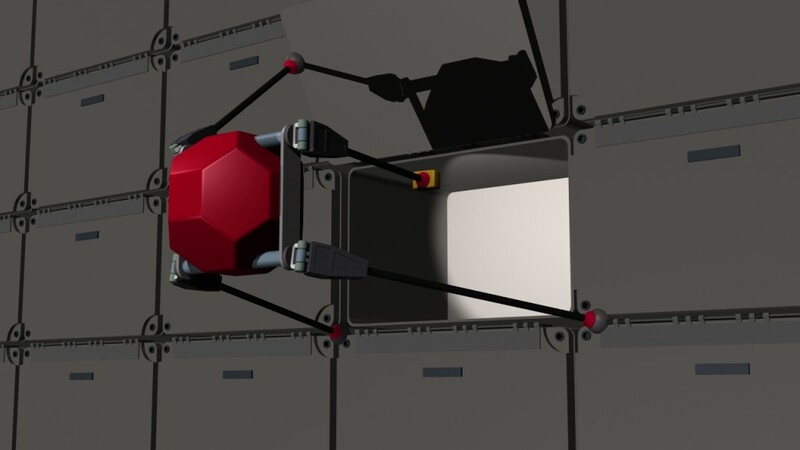 The SPHERES robotic free-flyers are currently used primarily for technology demonstrations in the realm of relative navigation and proximity operations, but NASA is interested in developing future free-flyers capable of offloading tasks from astronauts. These “Assistive Free-Flyers” would perform time-consuming tasks such as inventory tracking, fetching tools, inspection, emplacing sensors, etc. Astronaut time is one of the most scarce commodities on the space station, and by offloading tasks from the crew members, more time can be available for research tasks that directly contribute to the purposes of the International Space Station. Under this Phase I effort, Altius will be developing the proposed LISA manipulators based on the deployable/retractable STEM Arm technology it has developed under internal funding and several previous NASA and DARPA contracts. These lightweight, low-inertia arms provide the dexterity needed for many complex tasks, in a simple package that minimizes the impact to control of the vehicles in free-flight. During Phase I, Altius will be working with Aurora Flight Sciences and the MIT SPHERES Lab. Altius Space Machines is a hardware space robotics company specializing in three main business units: Orbital Logistics, Space Robotics, and Plasma Decelerators. Together, these business units support complex in-space operations for a wide range of customers.